Your Golden West adventure starts at Sydney’s Central Station. Once on board, you can choose to sit in the lounge or dining cars, or your private cabin while we travel to the spectacular Hawkesbury River. We then travel right by the water at Mullet Creek and alongside Brisbane Water before arriving at Newcastle. See the sights of Newcastle Harbour on a delightful lunch cruise. We re-board our train at 5pm to enjoy dinner in the dining carriages as the sun sets and we travel to Cessnock in the Hunter Valley. Our home for Wednesday night will be Neath Station on the private South Maitland Railway – they don’t have any passengers on this line! Subject to change due to circumstances beyond our control. Today we will enjoy the best that the Hunter Valley region has to offer using our private Aurora Explorer shuttle bus. Our first stop is the spectacular Hunter Valley Gardens featuring 10 amazingly themed gardens with influences from all over the world. Included in the Aurora Explorer shuttle bus circuit will be cellar door wine tastings at selected wine makers, where you can select the wines you want included in your on board drinks package (extra cost). Your explorer circuit will also include the Hunter Valley Gardens Shopping Village with its unique collection of boutique retailers promoting the best local produce, artistic talent, contemporary cafe dining and cellar door wine tasting. Lunch today is at your own choice and cost. Your Aurora Explorer buses will return you to Neath Station throughout the afternoon in preparation for a 3pm departure. 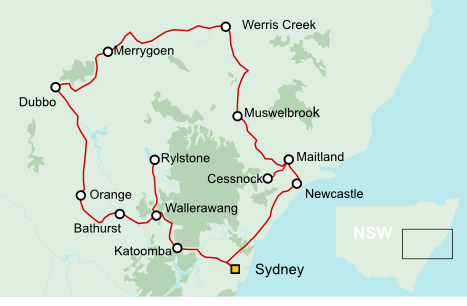 We will travel the remainder of the Hunter Valley, and on through Ardglen Tunnel to Werris Creek, where we will enjoy a quick 45 minute stop off to visit the Australian Rail Monument and Railway Journeys Museum. We will then enjoy dinner whilst we travel railway lines which are normally freight only, towards Dubbo, where we will stable for the night. After breakfast on board, your train experience starts on our own Aurora Explorer bus, shuttling us to the 10 hectares of the Dubbo Regional Botanic Gardens, which includes one of Australia’s most authentic traditional Japanese gardens.  Stay on the bus for the Western Plains Cultural Centre, or the Old Dubbo Gaol. At 12:00 Midday, we will re-board our train and enjoy lunch as we make our way to Orange. On arrival mid-afternoon, a mini Farmer’s Market awaits where you can sample and buy local crafts and produce, or go for a short walk to ‘Ferment. The Orange Wine Centre’. Visit the beautiful Cook Park, 4.5 hectares of parkland in the heart of Orange. This is a 145 year old traditional Victorian style park which embodies the seasonal colours of Orange. Dinner is by your own arrangements. We will be stabled for the night at Orange. Enjoy Breakfast on board, then join the Aurora Explorer Bus, shuttling us to selected Orange vineyards and Small Acres Cyder Farm. At 11:45am we will again re-board our train and enjoy lunch as we heat to Bathurst, where we will board buses to transfer to Mayfield Gardens, one of the world’s largest privately owned cool climate gardens. Covering more than 64 hectares, the scale of the gardens is truly breathtaking. Our bus will return us to Bathurst, where we can visit the National Racing Museum at Mt Panorama or the Australian Fossil and Mineral Museum. We depart Bathurst at 5:30pm and travel past the Marrangaroo National Park. We will then have the rare opportunity to ride the closed Gwabegar line from Wallerawang to Rylstone, as we enjoy our evening meal. We will stay for the night in the tranquility of Rylestone. Enjoy breakfast as we travel down the stunning Gwabegar line and cross the Great Dividing Range to Wallerawang. On through Lithgow and through the 10 tunnels that replaced the Lithgow Zig-Zag, then cross the Darling Causeway on the way to Mount Victoria. Arriving in Katoomba, you will receive your Blue Mountains Explorer Bus pass, which gives you access to the ‘Hop-on, Hop-Off’ service to explore in your own time. Walk out to the edge at Echo Point, see the majestic Three Sisters. Take a ‘Scenic World‘ ride (optional extra – tickets may be bought on the train. Check the waterfalls and the vibrant villages. Visit Everglades Historic House and Gardens. Leuralla Toy and Railway Museum is a must visit! Lunch is at your own arrangements in the picturesque Blue Mountains villages. At 3:00pm we will again board the train for our return to Central Station, and sadly, our journeys end.